Custos (English: guardian) means a religious superior or an official in the Franciscan Order. The precise meaning has differed over time, and among the Friars Minor, Conventuals, and Capuchins. Francis of Assisi sometimes applied the word to any superior in the Order - Guardians, Ministers Provincial, and even to the Minister General. Sometimes he restricts it to officials presiding over a certain number of friaries in the larger provinces of the Order with restricted powers and subject to their respective Ministers Provincial. It is in this latter sense that he refers to the custodes as having power, conjointly with the Provincials, to elect and to depose the Minister General. The friaries over which a custos (in this latter sense) presided were collectively called a custody (Latin: custodia). The number of custodies in a province varied according to its size. Already at an early period it was deemed expedient that only one of the several custodes of a province should proceed to the General Chapter with his respective Minister Provincial for the election of the Minister General, although the Rule of St. Francis accorded the right of vote to each custos. This custom was approved by Pope Gregory IX in 1230  and by other popes, evidently with the view to prevent unnecessary expense. The custos thus chosen was called Custos custodum, or, among the Observants until the time of Pope Leo X, discretus discretorum. This ancient legislation, which has long since ceased in the Order of Friars Minor, still obtained in the Order of Friars Minor Conventuals, in their Constitutions confirmed by Pope Urban VIII. In the Capuchin Order there are two kinds of custodes: Custodes General and Custodes Provincial. Two Custodes General are elected every three years at the provincial chapters. The first of these has a right to vote at the election of the Minister General should a General Chapter be held during his term of office. Besides, he has the obligation of presenting to the General Chapter an official report on the state of his province. The Custodes Provincial, on the contrary, have no voice in the General Chapters, and their rights and duties are much restricted and unimportant. In the Constitutions of the Order of Friars Minor there is also mention of two kinds of custodes: one called custos provinciae, the other custos regiminis. The former is elected at the provincial chapter and holds office for three years. Besides having a voice in all capitular acts of his province he takes part in the General Chapter, should his Minister Provincial be impeded. The custos regiminis is a friar who rules over a custody, or sub-province. He possesses ordinary jurisdiction and has all the rights and privileges of a Minister Provincial. The number of friaries in a custodia regiminis ranges from four to eight. The Custodian of the Holy Land is an appointed office in the Franciscan Order, which is approved by the Vatican. ^ See Rule:Chapters IV & VIII, and his Testament. ^ "Quo elongati", Bull. Rom., III, 450, Turin edition. ^ "Ite et vos", Bull. Rom., V, 694. The Franciscans are a group of related mendicant religious orders within the Catholic Church, founded in 1209 by Saint Francis of Assisi. These orders include the Order of Friars Minor, the Order of Saint Clare, and the Third Order of Saint Francis. They adhere to the teachings and spiritual disciplines of the founder and of his main associates and followers, such as Clare of Assisi, Anthony of Padua, and Elizabeth of Hungary, among many others. The Order of Friars Minor Conventual, commonly known as the Conventual Franciscans, or Minorites, is a branch of the Catholic Order of Friars Minor, founded by Francis of Assisi in 1209. Saint Peter of Alcantara, O.F.M., was a Spanish Franciscan friar canonized in 1669. The Buttevant Franciscan Friary is a 13th-century Franciscan Friary is situated in the middle of the town of Buttevant, County Cork, Ireland. José Rodríguez Carballo is a Catholic archbishop and official of the Roman Curia. On 6 April 2013, he was named secretary for the Congregation for Institutes of Consecrated Life and Societies of Apostolic Life. He had previously served as General Minister of the Order of Friars Minor from 2003. Saint Felix of Nicosia, O.F.M. Cap. was a Capuchin friar, and is honored as a saint in the Roman Catholic Church. The Franciscan Friars of the Immaculate is a Roman Catholic institute of consecrated life with Pontifical Right established by Pope John Paul II on 1 January 1998. The F.F.I. 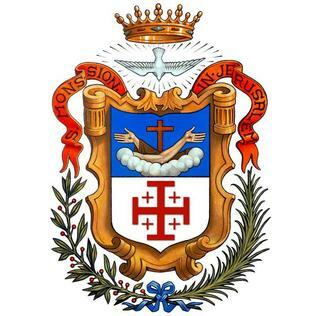 was founded by two Franciscan Conventual priests on 2 August 1970 and is a reformed Franciscan Conventual religious institute living the Regula Bullata of Saint Francis of Assisi according to the Traccia Mariana. The Custody of the Holy Land is a custodian priory of the Franciscan order in Jerusalem, founded as Province of the Holy Land in 1217 by Saint Francis of Assisi, who also founded the Franciscan Order. Its mission is to guard "the grace of the Holy Places" of the Holy Land and the rest of the Middle East, "sanctified by the presence of Jesus", as well as pilgrims visiting them, on behalf of the Catholic Church. Between 2004 and 2016, the Custodial Curia was led by Custos Fr. Pierbattista Pizzaballa, with the approval of the Holy See. Since 2016, the chief custodian has been Francesco Patton. Its headquarters are located in the Monastery of Saint Saviour, a 16th-century Franciscan monastery near the New Gate in the Old City of Jerusalem. The office can bestow--only to those entering its office--the Jerusalem Pilgrim's Cross upon deserving Catholic visitors to the city. The Order of Friars Minor is a mendicant Catholic religious order, founded in 1209 by Francis of Assisi. The order adheres to the teachings and spiritual disciplines of the founder and of his main associates and followers, such as Clare of Assisi, Anthony of Padua, and Elizabeth of Hungary, among many others. 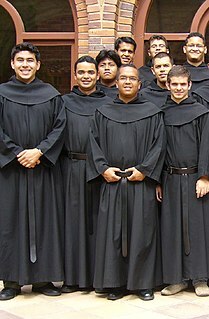 The Order of Friars Minor is considered to be the successor to the original Franciscan Order within the Catholic Church, and is the largest of the contemporary First Orders within the Franciscan movement. Pierbattista Pizzaballa, O.F.M. is a Catholic archbishop, the current apostolic administrator of the Latin Patriarch of Jerusalem and the former Franciscan Custos of the Holy Land. He is also archbishop of the titular diocese of Pamphylia (Verbe) in Turkey.